Thank you for your continued interest in Sony products. 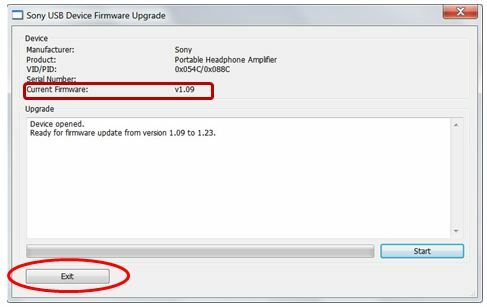 This page provides instructions on how to update the firmware for Sony Portable Headphone Amplifier PHA-2. 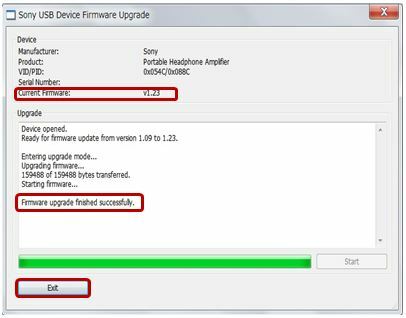 * In case the firmware version of the unit is already v1.23, there is no need to apply this firmware update program. Support 16bit 44.1/44.8kHz audio formats playback on Xperia Z. 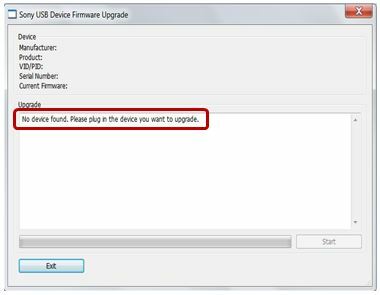 You can check the device’s software version on the screen of the update program. 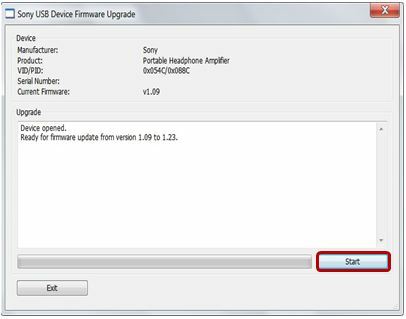 Please download the update program from the Update Instructions page and refer to below instructions to check the device’s software version. Check the product's remaining battery life. After turning on the power switch, confirm that the POWER indicator flashes at least twice. If the battery runs out during the update, the device might be unable to update successfully. Update the product's software only after installing the PHA-2 device driver version 2.23.0 for Windows computers. Download the device driver for the PHA-2 on download section. Note: Computers running a Mac OS do not require device driver installation. Connect the PHA-2 to your computer as shown below, then turn on the PHA-2. (1)　Start up your computer. (2)　Slide the input select switch to the USB port position (right side). (3)　Use the supplied micro USB cable to connect the device to your computer. (4)　Turn on the PHA-2. Download the update program (DFU_v1.23.exe) and save the update file to your computer's desktop (recommended). To double-click the file (DFU_v1.23.exe) saved to your computer. 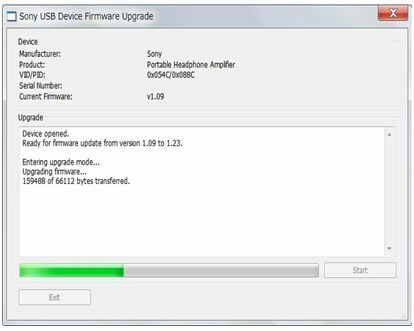 The number that appears to the right of “Current Firmware” in the following window is the version. After confirming the version, click “Exit” in the bottom left of the window. One of the above operating systems should be installed by default. Upgraded operating systems, home-built computers and multi-boot environments are not supported. We do not guarantee performance on every computer. We do not guarantee performance on any computer while it is in system standby, sleep, or hibernation mode. Please log in as an administrative user. Install the PHA-2 device driver to computers running Windows. 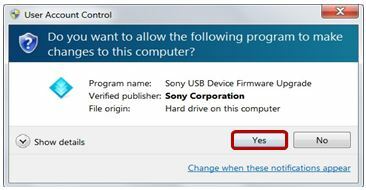 Update the product's software only after installing the PHA-2 device driver for Windows computers. If you have already installed the latest driver, proceed to next step. To download the device driver for the PHA-2, go to PHA-2 download section. Click the "Download" button on this page to start the download and save the update file to your computer's desktop (recommended). Right-click the file and select "Properties" to confirm the file size from the file properties displayed. If it matches, then the download was sucessful. If it differs, delete the file and re-download. Get the latest PHA-2 device driver before updating the product. After turning on the power switch of the PHA-2, confirm that the POWER indicator flashes at least twice. Slide the input select switch to the USB port position (right side). 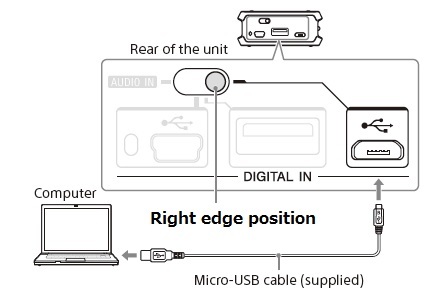 Use the supplied micro USB cable to connect the device to your computer. After setting up the above connection and checking that the device is turned on, double-click the file (DFU_v1.23.exe) saved to your computer. Note: If the following error message appears after you double-click the file (DFU_v1.23.exe), your device driver may be outdated. Please install the latest PHA-2 device driver. Select "Yes" when the following dialog box appears. Choose a language from the drop-down menu, and click "OK."
When the following window appears, click "Start." If the message "No device found, Please plug in the device you want to upgrade." appears in the screen window, as shown below, confirm whether the computer and the device are properly connected, whether the PHA-2 is turned on, and that the input select switch is set to USB. If the display does not change after having confirmed these things, unplug the USB cable from the computer and the device, and turn off the device. Reconnect the device and the computer by USB, then turn on the device and check the display. When the message "Firmware upgrade finished successfully," appears in the screen window, as seen below, if the "Current Firmware" becomes "v1.23," then the update was successful. After confirming this, click the "Exit" button. Note: If the update fails, start it again from the beginning. The update is complete. After updating, the update file that you saved to your computer is no longer necessary. The system names and product names listed on this web page are, in general, the registered trademarks or trademarks of their respective companies. Nevertheless, this text does not specify such items with (TM) or (R) marks.